The last single to feature “THE GRAMOPHONE CO. LTD” around the label rim. Subsequent releases hereafter (e.g. HAR 5077 and HAR 5078, ELO and Roy Wood respectively) had “EMI RECORDS LTD” around the label rim. 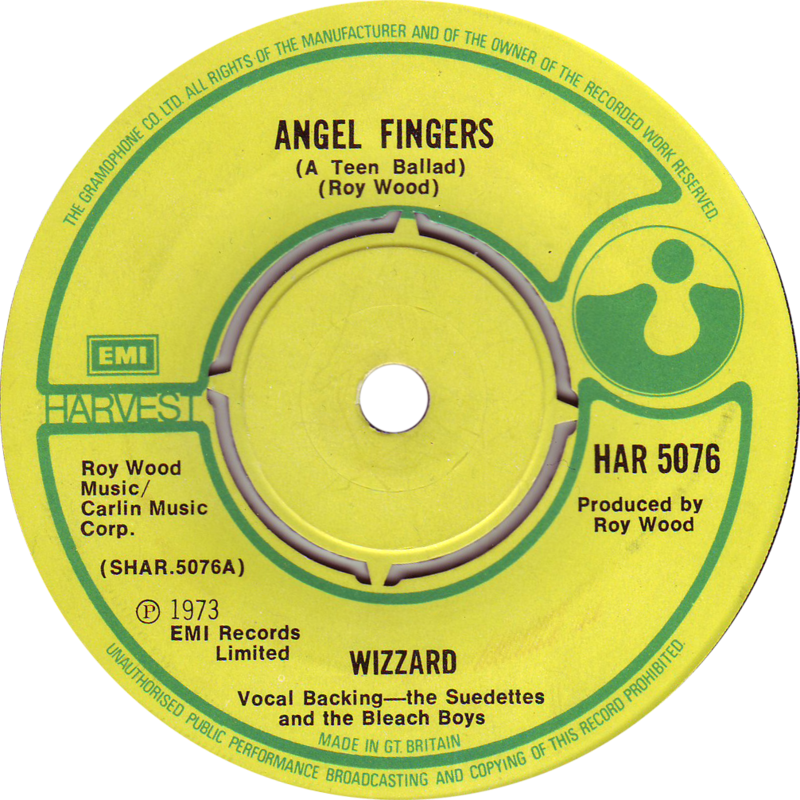 A double sided “Angel Fingers” demo with HAR 5076 exists, apparently one side is mono the other side stereo…but why release a mono single in 1973…?